Thank you for choosing to buy the Red Box! 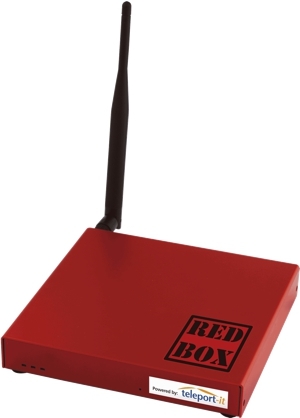 The RedBox is a smart, compact wireless router integrating satellite communications, 3G cellular and WiFi connectivity. The RedBox provides a unified onboard communications platform featuring least cost routing, wireless NMEA instrument data, firewall, enhanced GPS tracking and crew email & web optimisation. Increasingly cafes and bars offer internet access to entice you in, or perhaps you just can't get to the sweet spot in the marina. Either way extending that weak shore WiFi signal back to the boat is a job for the WiFi Bat (WiFi booster). 4G for fastest speeds, up to 100Mbit ! !